The Bhairav Garh perched on top of the picturesque Aravali hills in the heart of Mewar Region is a luxurious hotel synonymous with regal hospitality, preservation of tradition and refined taste, and is set in the midst of natural surroundings, it really is a haven of peace and tranquility. 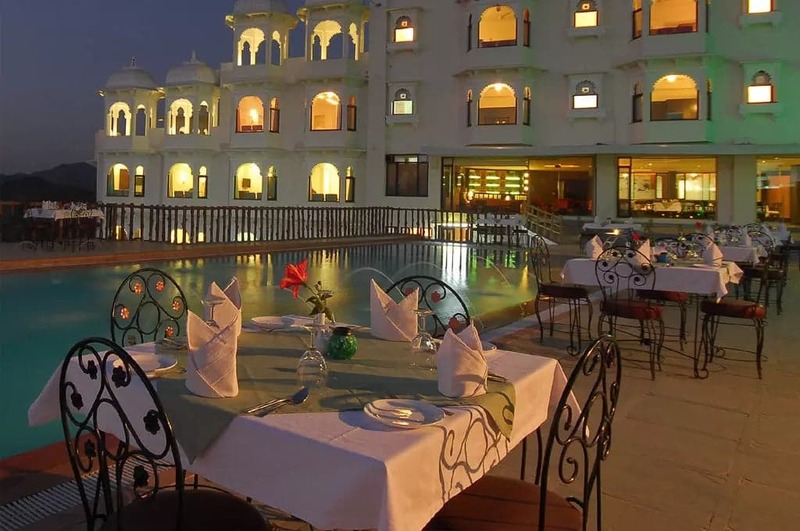 It is a brilliant addition to the ever growing hospitality industry of Udaipur.With the vision of providing a collection of unique & luxury Services, we are establishing global standards of product quality and service excellence. The philosophy at The Bhairav Garh is about living with history; keeping an awareness of our past while looking towards the future. It is a perfect combination of Rajasthani craft and modern design, at every level we have tried to maintain this philosophy of honoring our culture and heritage and providing a collection of unique and luxury modern services. Front Desk, Laundry Facilities, Safe Deposit Box-Front Desk, Recreation, Internet/Wi-Fi, Bar, Doctor on Call, Welcome Drinks, Security Guard, Swimming Pool. Attached Bathroom, H/C Water, Daily Room Cleaning, Shower Caps, Window Opens, Television Room, Complimentary Toiletries, , Basic Bathroom Amenities, Makeup / Shaving Mirror. User reviews for "Bhairavgarh Resort Udaipur"